Please return to this page at the end of March to see all the great new workshops for 2016. 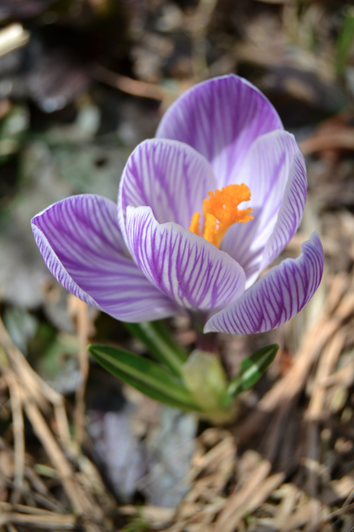 Sunday, June 7th 10 a.m.-1 p.m.
Now is the perfect time of year to get your garden off to a good start! Gwynne Basen will take you over the basics of good soil building, mulching, composting and pest control. 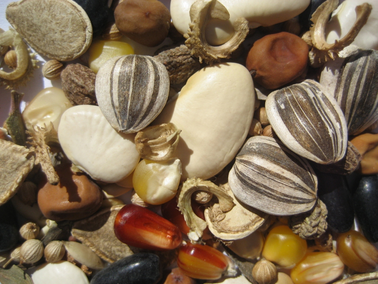 You will also learn how to direct seeding and transplant flowers and vegetables. Participants will also have the opportunity to take home heirloom vegetable and flower seedlings from the Abbondanza greenhouse. Cost: $40.00 Click here to register. 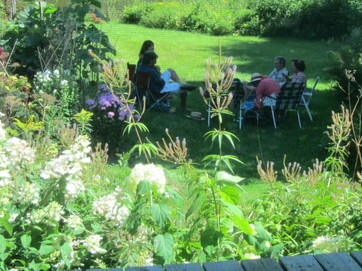 Participant feedback from this workshop: "I had such a wonderful day at your farm. All I want to do these days is garden, garden, garden! You gave us lots of great info, but more than that you shared your passion, joy and abundant energy for what you do, for the life you have chosen and the values you live by. Thank you! I would very much like to return!" Sunday, July 5th. 10 a.m.-4 p.m. 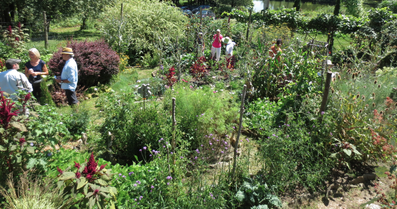 Led by Stefan Sobkowiak an internationally-renowned permaculture expert, this full day workshop will introduce you to the basics of permaculture, a sustainable method of gardening and landscaping that incorporates design based on natural elements. You will learn to work with, rather than against nature, to truly observe what is happening in your landscape, and to see all the elements of your terrain as an integrated whole. 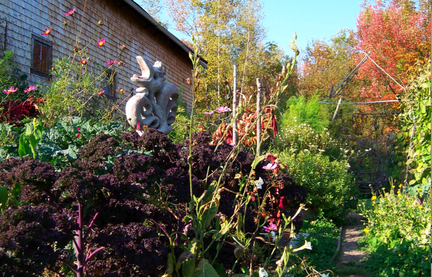 In the workshop you will learn to build a “Magic Model” of your own garden, incorporating permaculture principles of design. The roots and essence of permaculture. How to demystify the design process and make it fun. How to evaluate possibilities in order to arrive at the best version of your space. How to imagine and move between spaces before they are built. How to integrate paths, partitions and pleasure spaces while, emphasizing focal points. 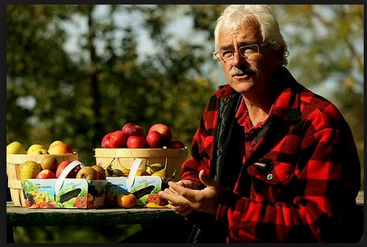 For the last 6 years Stefan has been cultivating Miracle Farm in Cazaville, Quebec (www.miracle.farm ), the largest permaculture fruit orchard in Eastern North America. A forerunner in his field, Stefan has taught over 400 groups and worked with more than 100 professional clients during the past 25 years. He holds two Master’s degrees, the first in landscape architecture from the University of Guelph as well as a Masters and Bachelors in Wildlife Biology and Wildlife Management from McGill University. 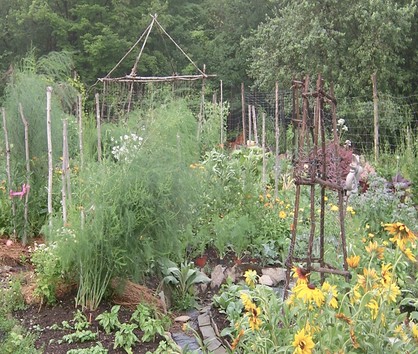 With a focus on edible gardening, Stefan’s unique approach employs design principles that attract beneficial wildlife and insects as well as capitalizing on the available resources in an environment. Here at Abbondanza Farm we have benefitted from Stefan’s techniques in our own fruit and nut orchard and are delighted to invite him back to share his knowledge with you. 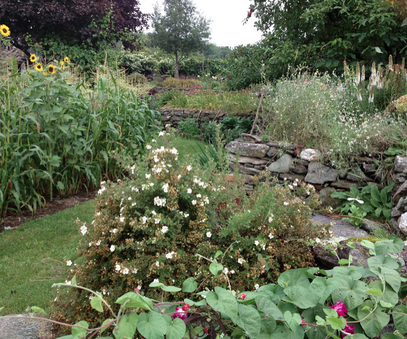 Whether this is your first encounter with permaculture or you already have some experience with it, you will certainly leave the workshop inspired and in possession of a new set of skills to help you transform your gardens and landscape. Cost: $85, which includes a delicious garden lunch. Sunday, September 27th 10:00 a.m.- 4:00 p.m. When it comes to living the senior life, most of us are sure what we DON’T want: to be parked in one of those old-age residences called “Golden Pastures”, or “Tranquility Bay” waiting for The End. The more difficult questions are: What DO we want? WHEN will we need a change of lifestyle? HOW do we stay in charge of our lives? WHAT are the alternatives out there that are more inviting? The workshop will be led by Janet Torge a broadcaster and film producer who is committed to designing a radical new approach to how we will live as oldsters. Check out her web site http://radicalresthomes.com. Come and explore the possibilities! Cost: $70.00. A delicious, fresh from the garden lunch is included. Sunday, August 9th. 10 a.m.-4 p.m. Cost: $75.00, including a delicious garden lunch. Participant feedback from this workshop: "I am so grateful for the lovely day that you and Doug offered us on Saturday. It was rich and beautiful and full. I came home feeling deeply nourished and satisfied. Thank you so much." Sunday, August 23. 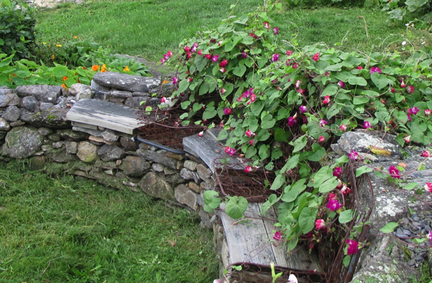 10 a.m.-4 p.m.
As well as touring the beautiful edible gardens of Abbondanza, we will also visit the splendid kitchen garden of a masterful local gardener and builder of stone walls. Cost: $75, which includes a delicious garden lunch. Sunday, September 20th. 10 a.m. to 3 p.m. Cost: $50, including a delicious garden lunch. Click here to register. NEW DATE: Sunday, October 18th 10:00 a.m.- 4:00 p.m.